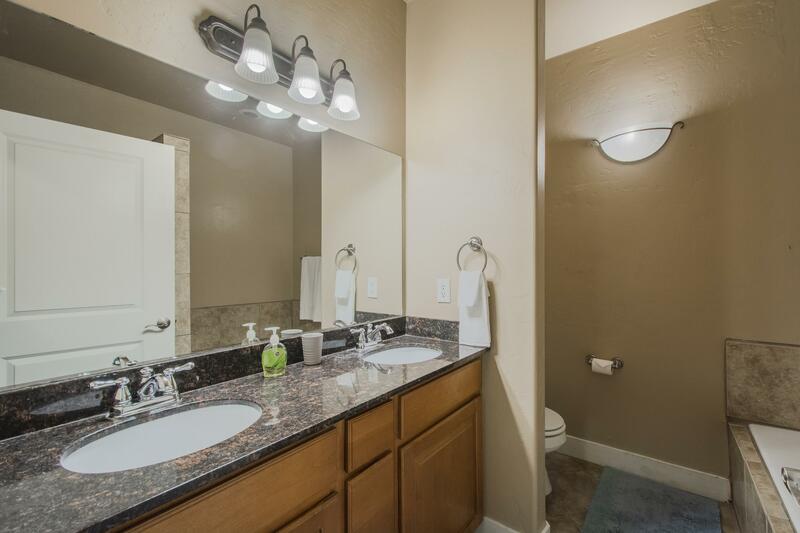 Enjoy this wonderful location close to everything! 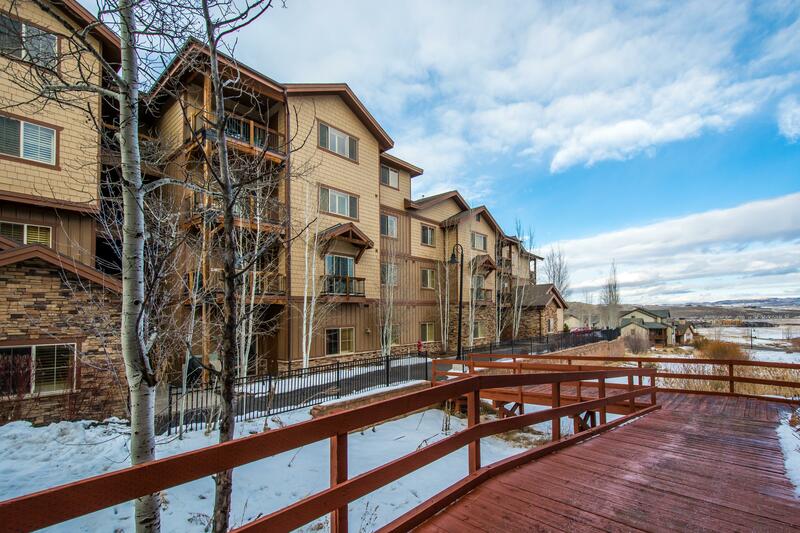 New owners bought everything new in 2018, so the condo is clean, efficient, and stocked with everything you need. 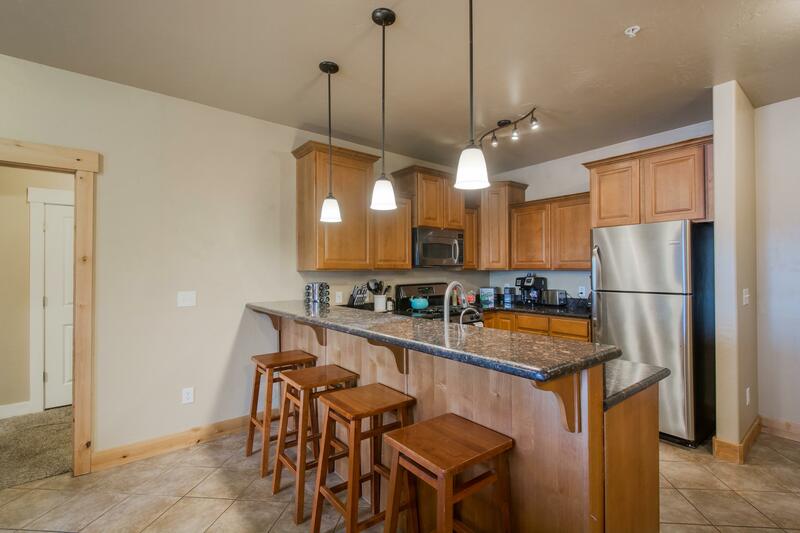 This ground floor 3 bedroom/2 bath condo is fully stocked and ready for your family or friends. 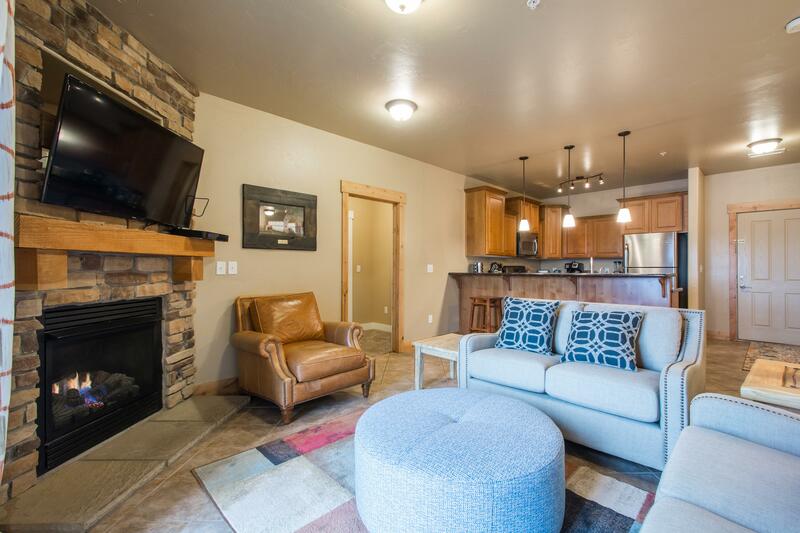 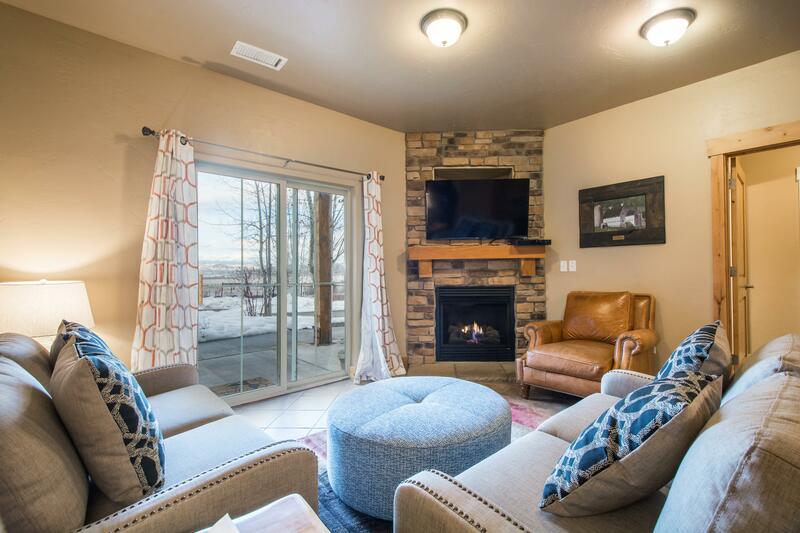 The comfy living room has a gas fireplace and a big screen tv to relax with after a long day on the slopes. 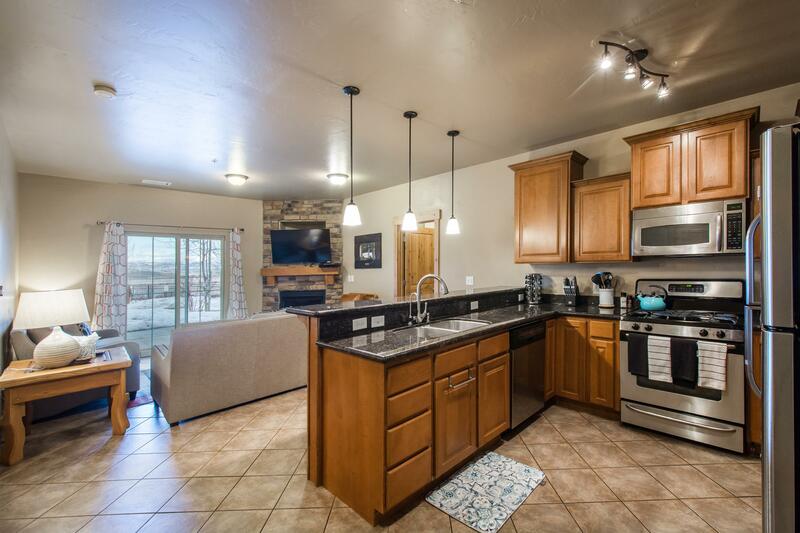 You will love the open floor plan with a counter bar separating the kitchen. 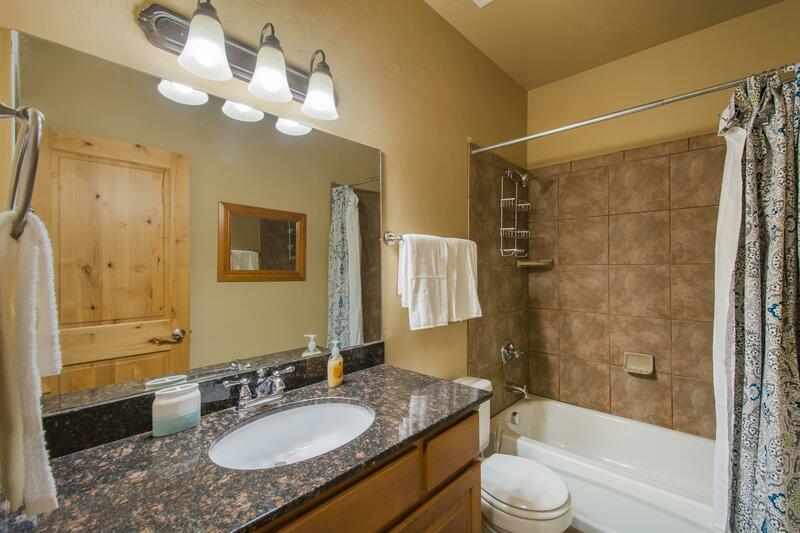 The master bedroom has a queen bed and its own bathroom with a tub and a separate shower. 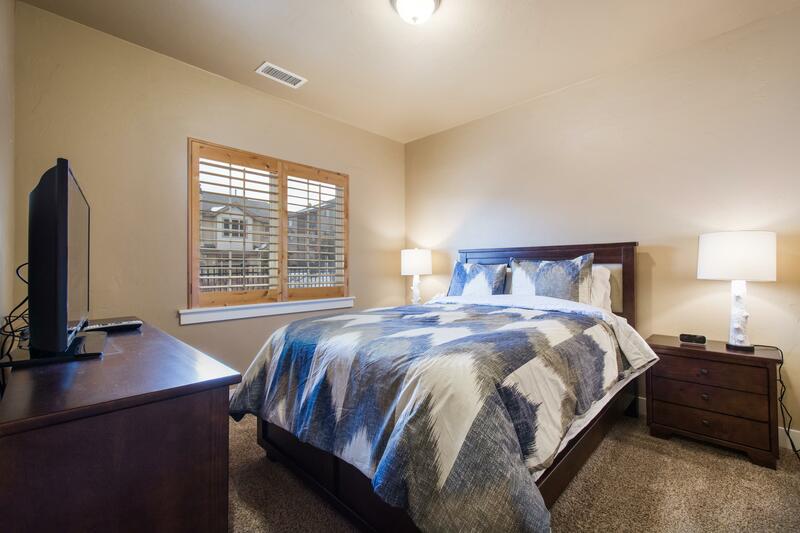 The second bedroom also has a queen bed with plenty of closet space. 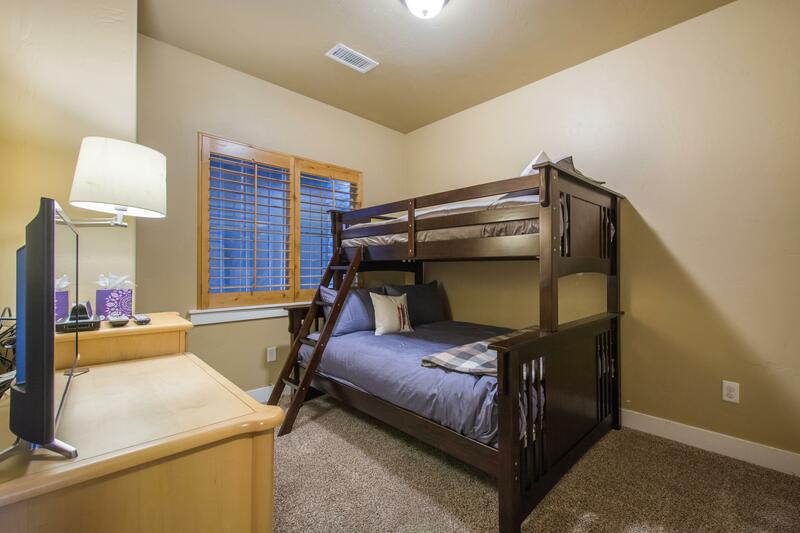 The third bedroom is set up with a bunk bed and tv for the kids, so everyone can relax. 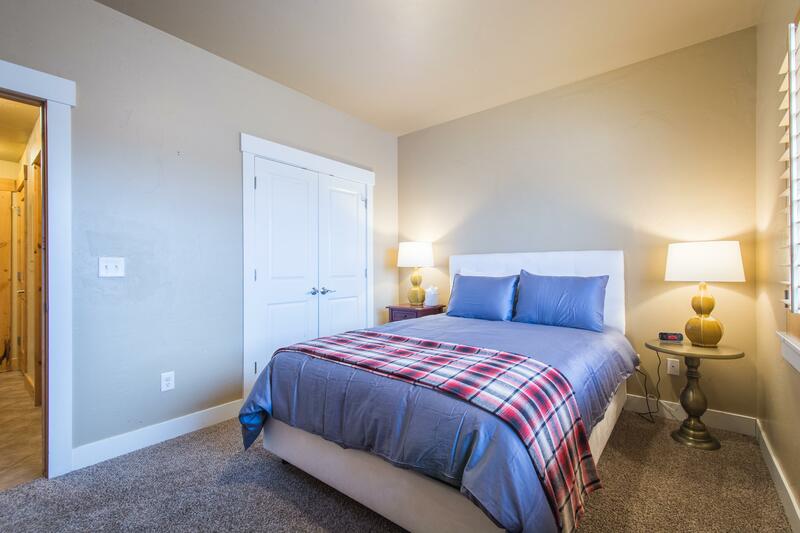 The building comes with one underground parking space and there is additional, although limited, overflow parking outside. 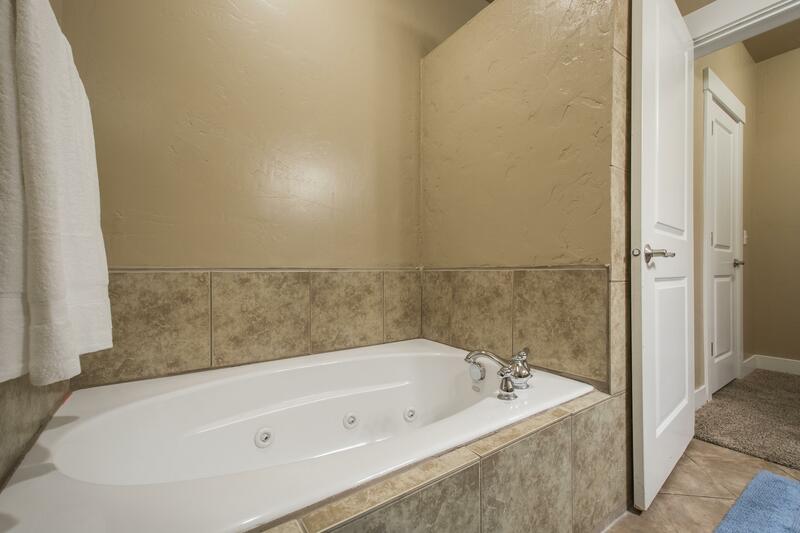 The building also has a common hot tub for loosening up those sore muscles each night. 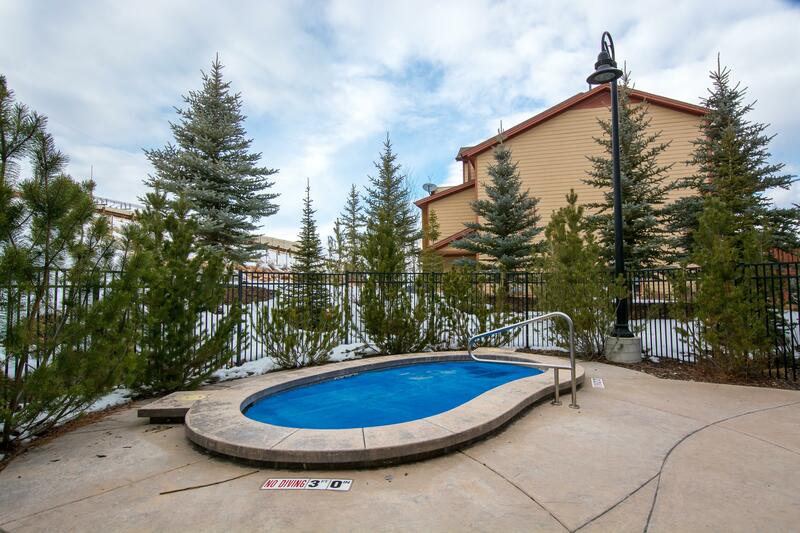 In addition, you will find an outdoor hot tub at the complex's clubhouse, about one block away. 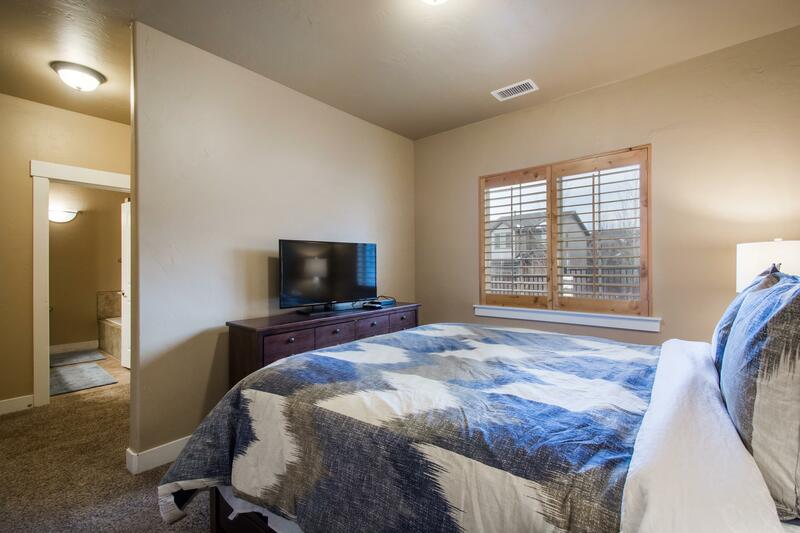 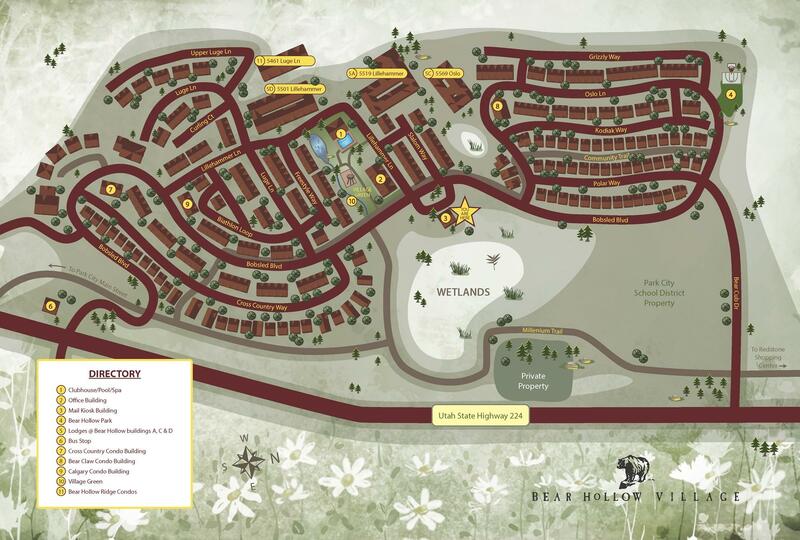 Bear Hollow is centrally located between the vibrant New Park Town Center and the Canyons Village of Park City. 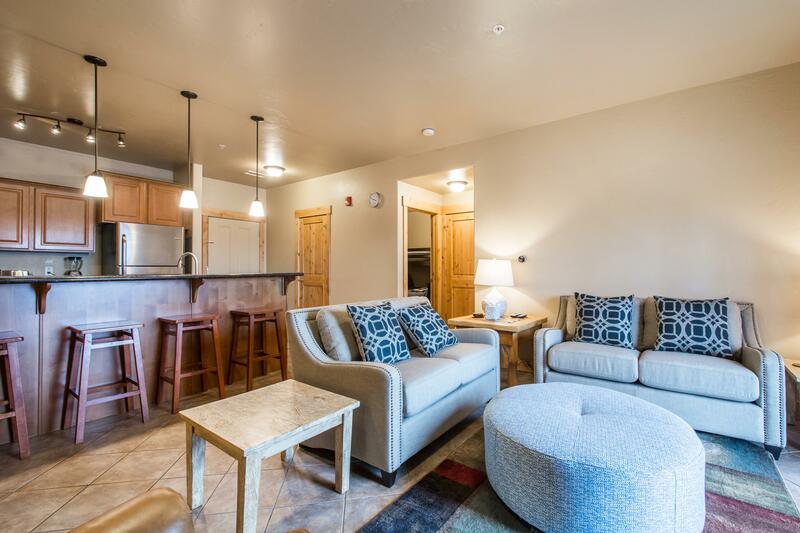 Only one mile away, you will find all the shopping you can handle, a movie theatre, bowling, restaurants and bars. 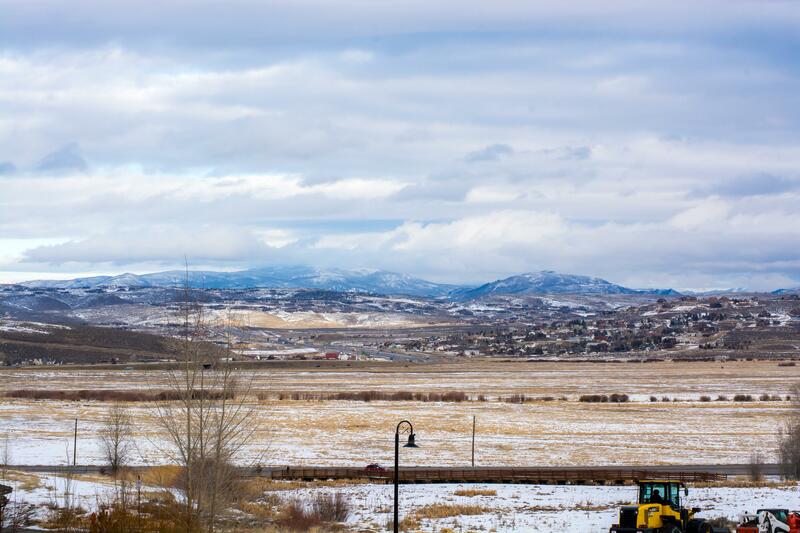 Two miles in the other direction and you are at The Canyons. 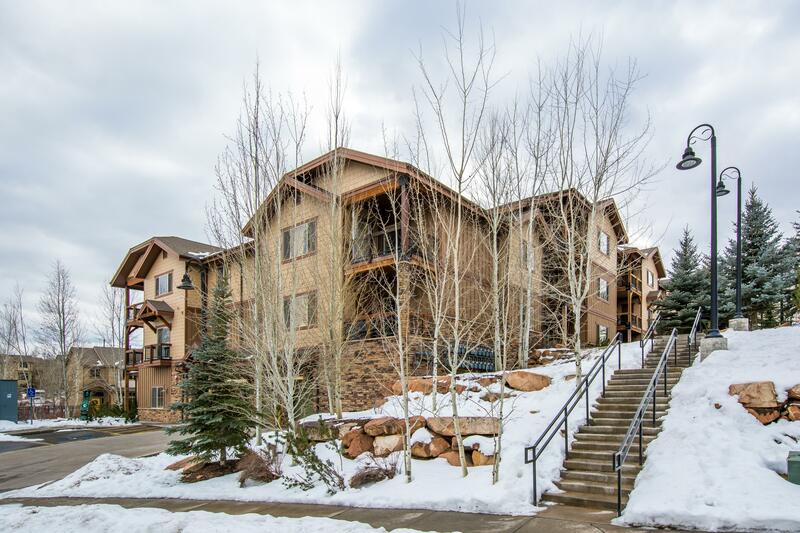 Keep going a couple more miles and you can be on Historic Main Street or the slopes of Deer Valley. 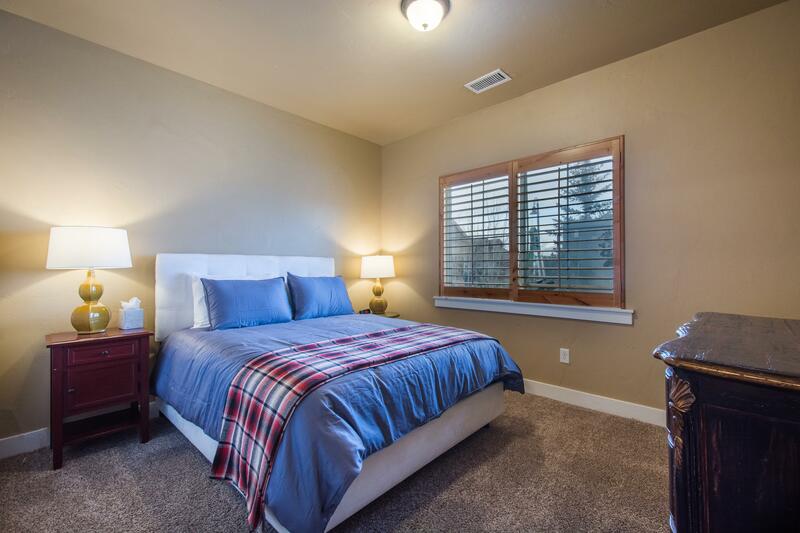 This property has 1 Queen(s), 1 Queen(s), 1 Bunk(s).